For the first time, smartphone sales exceeded feature phone sales worldwide. This is telling. You are mobile. 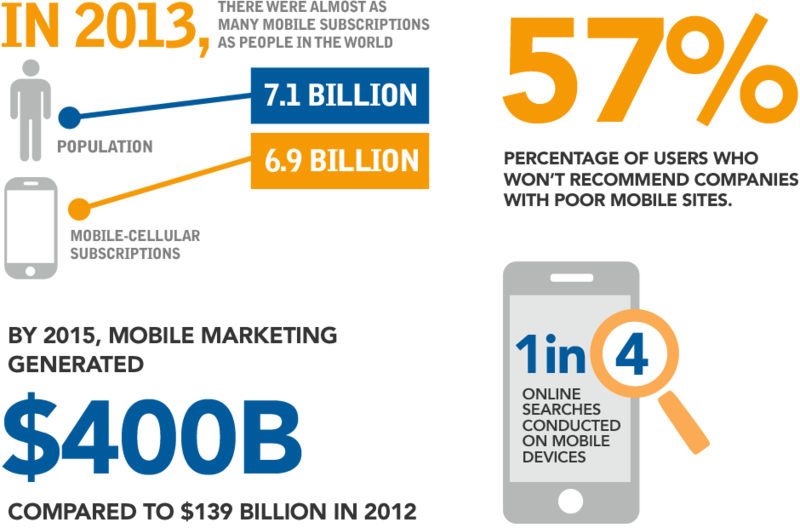 Your customers are mobile, and seismic shifts are taking place across industries because of it. 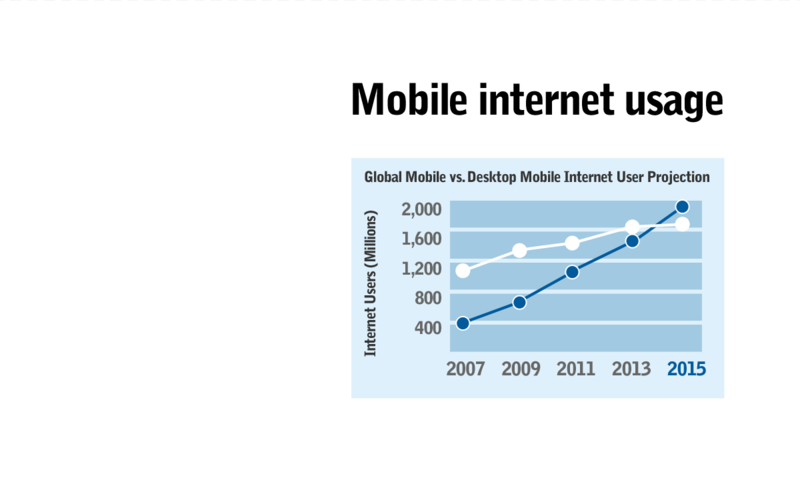 As more and more consumers make the shift from accessing the Internet from one place to two places, to anywhere they can find a signal, and access apps beyond texting and weather to personal accounting and scheduling, organizations will need to invest in mobile. From a website that functions optimally across devices to streamlined customer service through real-time delivery tracking to processing mobile payments - the time is now to research, budget and invest in mobile strategies to keep pace with your competition. If you don't have a mobile plan, you need one...And we can help. Who have we done it for? Glad you asked. Thinking of deploying a Business Intelligence (BI) solution? So are your competitors. A recent Gartner's CIO survey showed that BI is the No.1 technology priority for CIOs this year. The Delta project was an exciting opportunity for the Rare team to implement a robust Business Intelligence solution for the Delta Call Center teams. 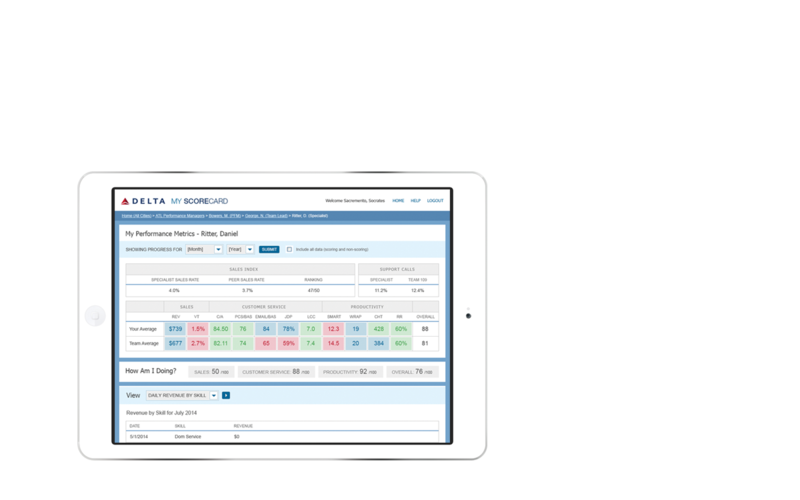 This new Delta Dashboard was designed to provide users with comprehensive access to critical information to measure performance and enhance effectiveness across call centers world wide! Thinking of deploying a Business Intelligence (BI) solution? So are your competitors. A recent Gartner's CIO survey showed that BI is the No.1 technology priority for CIOs this year. The Delta project was an exciting opportunity for the Rare team to implement a robust Business Intelligence solution for the Delta Call Center teams. This new Delta Dashboard was designed to provide users with comprehensive access to critical information to measure performance and enhance effectiveness across call centers worldwide! Recognizing that effectively visualizing Key Performance Indicators was integral to the effort (studies have shown that ~70% of the sense receptors in the human body reside in our eyes), the challenge for Rare was to ensure that key data was provided to delta users in a rich, meaningful - and actionable - manner. Extensive user interviews and workplace observations helped identify key work place needs; data artifacts were determined and extensive integration ensure that data was accessible and timely. Indeed, over seventy-five percent of Business Intelligence success is determined by factors other than data and technology (Center for Information Based Competition) - it's critical to present the right information in the most effective manner to each system user and that's exactly what the Rare team did for Delta! Rare Medium was engaged to work with Publix to facilitate development of an actionable short and long term strategy for Publix's extended web presence. This effort included a comprehensive assessment of critical elemenst in the Publix customer-facing mix: the Publix primary web presence at www.Publix.com, the Publix mobile web site and Publix mobile applications. Rare Medium was engaged to work with Publix to facilitate development of an actionable short and long term strategy for Publix's extended web presence. This effort included a comprehensive assessment of critical elements in the Publix customer-facing mix: the Publix primary web presence at www.Publix.com, the Publix mobile web site and Publix mobile applications. 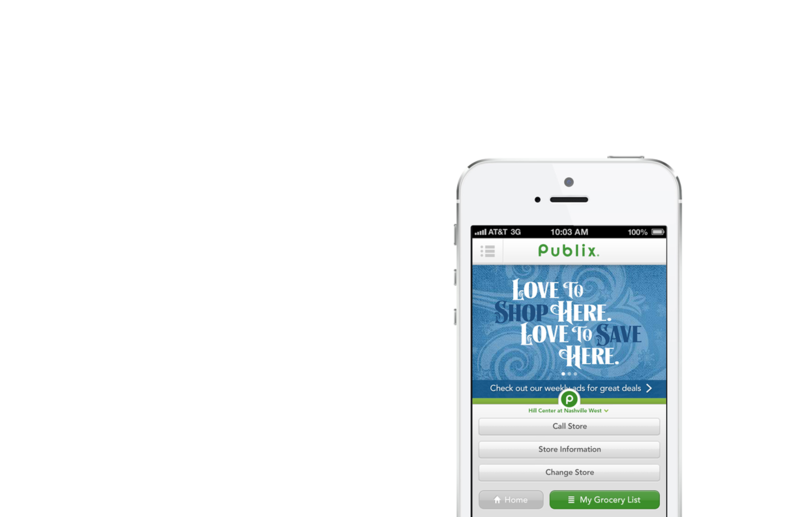 Rare Medium's strategy engagement for Publix consisted of studies, activities and analysis aimed at understanding the activities, desires, and needs of the people who will use the Publix traditional and mobile web sites and mobile applications. Users are, of course, a very important stakeholder in developing strategic requirements, but we also considered the requirements of business areas, brand, IT and others through the stakeholder interview process. This master list of requirements is compiled, and then feasibility and costs are considered, balanced, factored and prioritized through the Feature Value Process. The end result is a list of requirements and features that promote a usable and innovative, yet financially realistic site or application. Working collaboratively with Publix through a series of highly interrelated and progressive tasks Rare Medium produced a functional roadmap that will include specifications for all features, services and content to be included in the future phases of development. The final step of the engagement was to conduct an assessment of key technology service providers and the production of a high-level technical architecture needed to power the future web environment. © 2013 Rare Medium Atlanta, LLC. All rights reserved. Thank you for your interest in joining our team! Please submit your resume below. Thank you for your interest in Rare Medium Atlanta! Please submit your contact information below and we will follow up with you shortly. This site is owned and operated by Rare Medium Atlanta, LLC. (referred to as "Rare Medium Atlanta," "we," "us," or "our" herein). No material from the site may be copied, reproduced, republished, uploaded, posted, transmitted or distributed in any way, except that you may download one copy of the materials on any single computer for your non-commercial use only, provided that you keep intact all copyright and other proprietary notices. Modification of the materials or use of the materials for any other purpose is a violation of Rare Medium Atlanta's copyright and other proprietary rights. The use of any such material on any other Web site or networked computer environment is prohibited. Except as otherwise indicated on this site and except for the trademarks, service marks and trade names of other companies that are displayed on this site, all trademarks, service marks and trade names are proprietary to Rare Medium Atlanta. RARE MEDIUM ATLANTA, LLC IS NOT AFFILIATED WITH RARE MEDIUM GROUP, INC. OR RARE MEDIUM, INC. THE MATERIALS IN THIS SITE ARE PROVIDED "AS IS" AND WITHOUT WARRANTIES OF ANY KIND EITHER EXPRESS OR IMPLIED. TO THE FULLEST EXTENT PERMISSIBLE PURSUANT TO APPLICABLE LAW, RARE MEDIUM ATLANTA DISCLAIMS ALL WARRANTIES, EXPRESS OR IMPLIED, INCLUDING, BUT NOT LIMITED TO, IMPLIED WARRANTIES OF MERCHANTABILITY AND FITNESS FOR A PARTICULAR PURPOSE. RARE MEDIUM ATLANTA DOES NOT WARRANT THAT THE FUNCTIONS CONTAINED IN THE MATERIALS WILL BE UNINTERRUPTED OR ERROR-FREE, THAT DEFECTS WILL BE CORRECTED, OR THAT THIS SITE OR THE SERVER THAT MAKES IT AVAILABLE ARE FREE OF VIRUSES OR OTHER HARMFUL COMPONENTS. RARE MEDIUM ATLANTA DOES NOT WARRANT OR MAKE ANY REPRESENTATIONS REGARDING THE USE OR THE RESULTS OF THE USE OF THE MATERIALS IN THIS SITE IN TERMS OF THEIR CORRECTNESS, ACCURACY, RELIABILITY, OR OTHERWISE. YOU (AND NOT RARE MEDIUM ATLANTA) ASSUME THE ENTIRE COST OF ALL NECESSARY SERVICING, REPAIR, OR CORRECTION. APPLICABLE LAW MAY NOT ALLOW THE EXCLUSION OF IMPLIED WARRANTIES, SO THE ABOVE EXCLUSION MAY NOT APPLY TO YOU. Under no circumstances, including, but not limited to, negligence, shall Rare Medium Atlanta be liable for any special or consequential damages that result from the use of, or the inability to use, the materials in this site, even if Rare Medium Atlanta or a Rare Medium Atlanta authorized representative has been advised of the possibility of such damages. In no event shall Rare Medium Atlanta have any liability to you for damages, losses and causes of action (whether in contract, tort (including, but not limited to, negligence), or otherwise) for accessing this site. All claims, disputes or disagreements which may arise out of the interpretation, performance or in any way relating to your use of this site and any and all other Rare Medium Atlanta site(s), shall be submitted exclusively to the jurisdiction of the State or federal courts located in the County and State of Georgia. We will not sell or rent your personally identifiable information to anyone. We will send personally identifiable information about you to other companies or people when: (1) we have your consent to share the information; (2) we need to share your information to provide the product or service you have requested; (3) we need to send the information to companies who work on behalf of Rare Medium Atlanta to provide a product or service to you (unless we tell you differently, these companies do not have any right to use the personally identifiable information we provide to them beyond what is necessary to assist us); (4) we respond to subpoenas, court orders or legal process; or (5) we find that your actions on our Web sites violate the above terms of service, or any of our usage guidelines for specific products or services.